The Stanley Cup Finals are now underway and the Los Angeles Kings and New Jersey Devils duke it out for the next 2 weeks to find out which unlikely team will raise the Cup for the NHL in 2012. From there, the other 29 teams will strive to close the gap and figure out how hope can spring eternal in each of their locales. In Dallas, we have spent a fair amount of time both on the rhetoric from those who are running the franchise now and have begun to look where exactly the organization stands with its current set-up. With that in mind, last week we tried to offer an individual evaluation on all forwards who are on the roster at this particular moment. Now, we will attempt to finish our look at the Stars from the defense and goaltender spots and proceed forward next time with sorting through draft and free agency ideas and objectives. Goligoski is likely the most controversial figure of the current team to debate. The Stars made a major investment in him to attempt to fill the gigantic hole at the top of the defense corps, and so far it has left many fans wanting more. He costs premium dollars (2nd highest paid player on the team at $4.6m per season, and that has expectation levels quite high. The price of James Neal and the void caused by Sergei Zubov make the expectation levels even higher. He is a very useful piece, who leads the team in ice time on the power play by a healthy margin on a per-game basis, and leads the defense in scoring. But, there is always a feeling of wanting more. Zubov is simply an unfair comparison because Zubov was a premier, Hall of Fame caliber player. Goligoski is the best defenseman they currently employ. But, to compare one to the other is a losing battle from the first moment. He simply has to take more games by the scruff of the neck offensively. And to this point, there isn't a great indication he is capable of doing that like many power play quarterbacks. In his own end, he is average, but they pay him large dollars in hopes of getting better offensive play making than they have seen so far. 2012-13 is a key year, and the ability for the Stars to get a true #1 defensemen ultimately might really help Goligoski fit better. But for now, it looks like a rather risky contract from the Stars perspective. Nobody has been asked to do more since the end of the road for 3 veteran defensemen in 2008 for Dallas than Robidas. When Zubov, Mattias Norstrom, and Phillipe Boucher all ended their runs with the Stars at virtually the same time, the Stars had a large void to fill. Since that time, Robidas has logged 24 minutes of ice time per game for 4 seasons running. This 7,500 minutes on the ice has certainly pushed him to the limits and while his legs seem to wear down after March 1 each season, he is still the heart and soul of the organization. He is tough as nails, he takes a tremendous beating, and he contributes heavily up and down the ice. If he had not been around, there is no telling how the unit might have fallen apart. The real questions are going to be what does he have left to give. At 35, there are signs of diminishing skills at times, but Robidas is one of those players that you really are happy to have. He sets a strong example for younger players and gives you everything he has. He would just be better served as well by someone elite taking the #1 spot of this unit. Like Goligoski, if he was pushed down a spot or two, you would be very happy, rather than a feeling that he is being over-exposed at times. Trevor is the best and the fastest skater on the team. He is capable of rushes from the back that are fast and dazzling. But, they just don't happen as often as you might like them to happen. He has played in nearly 600 games for the Dallas Stars and has played a ton of minutes. He can be trusted in his own end to usually make the proper decisions and to get the puck out of harm's way. He is tough and generally thought of as one of the core pieces of this group (thus the long term deal that has him under contract as long as anyone). At the end of the day, he is what he is. Solid, not flashy. Productive, not as productive as you might like. He has a fair deal which pays him as a #3 or #4 defensemen and he can do that. But, the idea that he would take another giant leap forward with his superior skating ability once he reached his late 20s hasn't fully taken shape. He is a nice piece to have and a member of your leadership group. If his puck skills could just improve a half-tick, perhaps his entire game could find the next level. Here is one of the questions the Stars must ask themselves immediately. And they likely already have their verdict. The question is, what does the blue-line look like if Souray doesn't return? Of course, to answer that properly, they must recognize that their are 3 kinds of nights with Souray at this age. Nights when he looks like a franchise defenseman and leads your team into battle. Nights when his feet look slow and father time has caught him. And, nights where he is missing due to nagging injuries. On those nights when he was right, he was clearly everything this squad has been seeking on the backend. But, how many nights were there? And how much do you pay for those, knowing that he is getting older and seeks multiple years in his next contract? Souray has an edge that can be priceless as both teams on the ice are aware of his mood and his ability to inflict punishment on anyone that comes toward the crease. The only question is whether his body can hold up for 2 or 3 more years. You would imagine there is a team that is willing to find out, but the Stars have given indications that they would happily pay more but only on a 1-year pact. But, if he is gone and they are not able to find a veteran replacement of equal or better ability, this could be a major blow to the group. Fistric is a large man who can be an imposing figure on defense. So much so, that his solid checks now have him on NHL "watch lists" for big hits and shots that may border on being illegal. But, the bigger question as he now reaches a similar spot to where Niklas Grossman was last season, is whether he has a future with the organization. Grossman was much further ahead of Fistric in the pecking order where he had his spot every night and was a clear member of the top 4 when healthy. Fistric has had a hard time staying off the scratch list all season and seems to work his way into the doghouse at times. He will never be a threat with the puck, so then a defensive defenseman must always make sound decisions in coverage and not get caught up ice. His ice time has never been granted generously, and you have a suspicion that he has his list of doubters in the front office. Somewhere between 2008 and here, it seems the Stars have gone from believing he could be a core member of the Top 4 eventually, to now believing that he might always be a #6-#7 player on the edge of a roster. Personally, I always thought he deserved a better chance back there, but as time runs short on his restricted free agency window, it appears that he might ultimately experience that Grossman change of scenery that is sometimes good for a player. One of the real success stories in the organization for 2011-12 must be the development of Larsen. It is very difficult to bring a player to the big leagues and yet make sure you are using him in spots where he can gain confidence and not asking him to do too much. A few days short of Thanksgiving, Larsen was called up, and aside from losing 3 weeks in recovery in January, Larsen was there each night showing he belonged. He demonstrated toughness at a very high level for a player with his skill set and showed the puck skills and Hockey IQ that were promised all along. The Stars made a point to generally use him only at equal strength, which is something that will no doubt change coming into this season. I think it is very easy to see his potential and given the lack of quality defensemen that have arrived in the last 4 years, Larsen puts a little spring in everyone's step about what year #2 in Dallas might offer. He sure looks like he could be a part of that young core if things continue to develop. A very curious piece of business completed by the Dallas Stars in the summer of 2011 was the 2-year, $4 million deal they gave to Adam Pardy. Even more curious, was the feeling from almost the end of training camp that they were wondering why they did that. At least, that is the indication to those on the outside that saw him play 36 largely anonymous games for the Stars. In fairness to Pardy, the erratic schedule he was on never allowed him to develop any sort of rhythm or continuity with any other defense partner or with the team in general. Every time he is playing, he is knocking off rust from not having played in 10 days, it seemed. But, in fairness to the Stars, we must assume he was not knocking socks off in practice and training camp to earn this role of what amounted to injury replacement defenseman, or the dreaded #7 guy on a 6-man depth chart. Surely, you can fill that spot at less than $2 per season, but the Stars must have thought last summer that they might have a real find if things worked out. He has more to his game than just defensive defenseman, as he actually can do a bit with the puck, but it doesn't really seem he is in the plans of the team enough to fully see that on a regular basis. Dillon is a sign of how your front office can really help itself in the NHL. Dillon, 15 months ago, was just a player that had not been picked in 2009 or 2010, and was looking for a job in professional hockey. So, he signed with the Stars and made some quick impressions in the AHL. Now, barely a year later, he is allegedly one of the most exciting pieces in the organization and poised to make the team in camp next season. He is a big, physical defenseman, but also has enough puck skills that the coveted, "big, 2-way defenseman" label is being attached to him. If he is a true late-bloomer that can step right in and add to a group that needs that skill set remains to be seen, but his debut in Game #82 for the Stars in April certainly did not slow down the hype train. If he is what he showed that night, there is no reason he cannot step right into the mix. And I imagine that has something to do with the way the Stars look at the Sheldon Souray decision. Would they rather have kids on the ice every night? Perhaps we will know soon enough. The older brother of Jamie Benn is establishing himself to a point where we don't always have to introduce him as such. He is making his own name with his quality play in the AHL and is at an age where the Stars consider him a dependable call-up in a pinch. Whether he is more than that remains to be seen, but his flashes of offensive talent are impressive from a blue-liner. He is another story that will be hashed out in training camp, but Benn does seem to provide them with another quality option down the lineup should they want to go in that direction. Here is one of the more complex questions that the Stars must consider moving forward. Where are they with their goaltender in terms of locking him up for the long haul. He was grabbed at a bargain price for his 1st contract with the Stars, but that will expire by next season, and he would hit free agency at the right age to break the bank. What contract is he worthy of and what do the Stars want to pay are great questions. As for Kari the goalie, he has nights where he is flat-out elite. He has spent a lot of time bailing the Stars out of bad defensive situations with a composure level that is quite impressive. He makes great saves, controls his rebounds well, and with his large frame just shuts the door on a regular basis. Last season he provided some of the best goaltending this team has seen in a decade, but certainly did not save his best for last as the pressure of the playoff push looked to get in his kitchen a bit. But, any questions about his commitment level that were brought over from Atlanta have been put to bed a long time ago. He is a competitor and a very good goaltender. It wouldn't be shocking to hear that the Stars have extended his deal sometime this summer. Bachman was not really on the radar for big league duty when the year began, but when Andrew Raycroft had major issues in the early months, the smallish goalie from Colorado College was given a great opportunity. And after he won his first 3 career starts - all on the road at LA Kings, NY Rangers, and NY Islanders - most observers had to do a double take. Bachman proved that he could handle the job by playing very well in spot starts all season long. Usually, he would get tough road dates, but pulled wins out of Chicago and Vancouver in February to really inspire a rare confidence in a young back-up. He really doesn't resemble the large Lehtonen in any way, accept for the composure and calm when chaos is breaking out all around them. He did have a slip or two late, including a forgettable outing in Winnipeg in March, but overall, he has more than earned the right to be the #2 going into next season and appears to have the quality to belong in the NHL. Very strong debut season for Bachman. As you can see, there are plenty of things to sort through for this front office. The free agency class of 2013 is already on their mind, and aside from the Jamie Benn extension, they have all of these other pieces of business to deal with, too: Ribeiro, Morrow, Ryder, Lehtonen, Nystrom, and Pardy will all be UFAs in 1-season. So, they need to have a strong draft, target and sign a major piece or 2 in free agency, consider trades, and talk extensions with the pieces they already have in place. All of this while properly projecting the kids coming up the pipeline from Austin. The work for the front office never stops if they want to play hockey in May and June again soon. 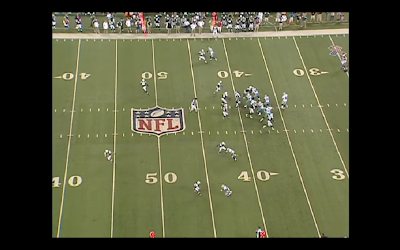 The Following is the 2nd in an 11-part weekly series throughout the summer that will focus on the eleven plays that shaped 2011 for the Dallas Cowboys. Every game, about 130 actual plays happen and over the course of a season that number can exceed 2,000. But, we have selected 11 and will pick one each week and break it down from standpoint of "X's and O's" and see what we can learn looking back. The plays are not ranked, simply presented as the season unfolded. We hope you enjoy. Week 2. The game that after the season facts would suggest was easily the most quality win of the season. The Cowboys won 8 games in 2011. 7 of them were against teams that had lousy seasons and lousy records, and then a win over a team that would go on to be 13-3, and be one play from the Super Bowl. We sure didn't know it at game-time, but the win in San Francisco would be an incredibly memorable day. It would be a back and forth struggle that would force the Cowboys to come from well behind in the 4th Quarter. It would be a day in which the Cowboys would have to scrap and claw with an undersized and undermanned offensive line, and their quarterback would pay the price with a broken rib and a punctured lung. But, Tony Romo showed some of his best leadership skills of his career that day, when they couldn't keep him on the sideline. Jon Kitna played a few possessions before Romo rejoined the team in the huddle, engineering a furious comeback to force overtime and then ultimately win the game. What makes it all the more remarkable was the fact that the Cowboys had virtually no healthy wide receivers. Dez Bryant was hurt against the Jets and would miss this game. Miles Austin was having a very productive day before the Cowboys lost him to injury on the last play from scrimmage in regulation when he ran the ball on 3rd and 2 after being lined up as the tailback. Justin Smith, who had a very big day against the Cowboys line tossed Kevin Kowalski to the side and then chased down Austin, twisting Austin's knee below his body and sending him to the injured list until the New England game a month later. Further, Laurent Robinson was watching this game from his couch as he had been signed Sept 7, released Sept 13, and then would be re-signed on Sept 20. This game was played on Sept 18, so he wasn't even in the organization. Austin was hurt on the final play the Cowboys ran in the 4th Quarter. He was stopped short of a first down, and if the Cowboys had reached the marker (1-yard further) they would have likely gone for the win because 0:45 remained and they were inside the 49ers 30-yard line. But, instead they let the clock run all the way down and Dan Bailey nailed a 48-yarder to send the game into overtime. The 49ers were given the ball to start overtime, but their drive was quickly snuffed out by a clutch sack by Jay Ratliff as he rushed by center Jonathan Goodwin on his way to Alex Smith. The 49ers punt it back to Dallas and that sets up the Cowboys at their own 22, with 12:57 left in overtime. And that sets up the play that we wish to feature in great detail as an absolute home run. Jesse Holley is most famous for winning Michael Irvin's reality show "4th and Long". The show had a grand prize that may never be available again, a spot on the Dallas Cowboys. It seemed insane that is taken as seriously as filling out your roster could be turned over to reality tv, but I suppose in some ways, it helps us understand why that period for the Cowboys (Wade/Jerry) could be referred to as the Lost Years. The other reason Holley is famous among Cowboys fans before this play was that he appeared to be the reason for 2 punts getting blocked. Taj Smith blocked a punt in Indianapolis as he ran right by Holley in 2010, and then in Week 1 of 2011 at New York, his mis-read as personal protector allowed Joe McKnight to run right up the middle and turn the game in a blink of an eye. So, to expect him to be the focal point of the biggest game as a wide receiver seemed extremely far-fetched. The Play: 1st and 10, Cowboys own 22-yard line. 12 personnel (1 RB, 2 TE, 2 WR). Balanced formation. The play is a very simple play action pass that is focused completely on making the safety to that side (#31 Donte Whitner) of the field step forward as he sees a run. Then, simply sprint past him and it is a throw and catch. It doesn't get easier once the ball is snapped. This is why the game of football is such a wonderful chess game. So much of this play is based on things that both teams know. Let's start with the fact that the 49ers are well aware that the Cowboys are out of wide receivers. This makes them focus on a player that has been pounding them the whole game, Jason Witten. It also makes them assume that on 1st Down and 10, the Cowboys are going to try to get some yards by running the football. Look at this shot. Romo is about to fake his handoff to Tashard Choice, and look at Whitner "eat the cheese". He is taking 2 or 3 steps towards the line of scrimmage. 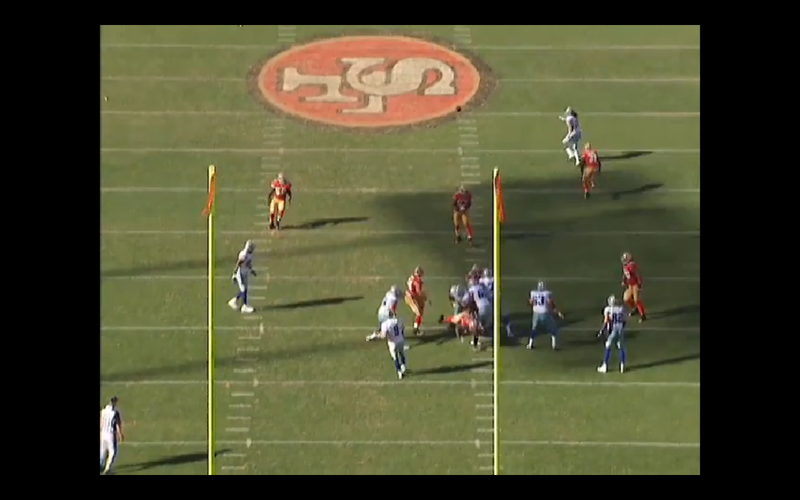 He knows that this is either a run or a shallow pass to Witten. Holley is a complete decoy - or so the 49ers believe. How different a posture would Whitner take if Dez Bryant or Miles Austin was over there? Likely a very different posture. 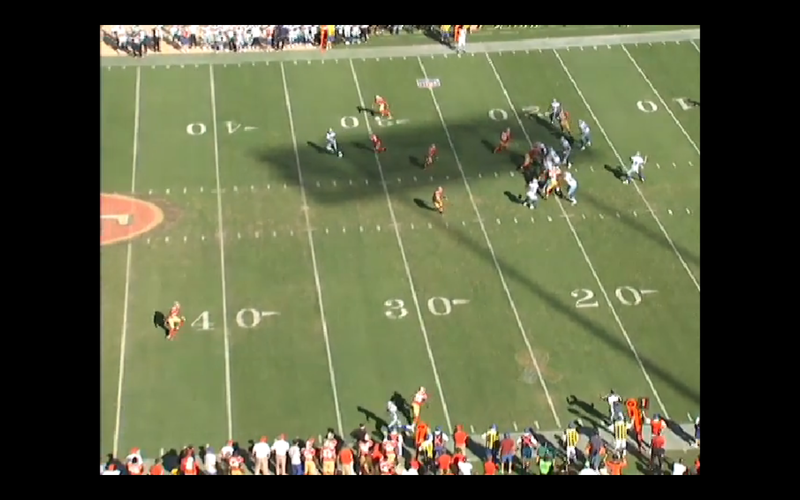 Also, he would not be headed up to stop the run if this was a different down and distance. But, on 1st and 10, their tendencies and common sense tell them that the likelihood of the Cowboys going for it all on the first snap of Overtime are extremely low. The photo below highlights the different way the safeties are playing for the 49ers. On one side, they are zoning with 3 players the two receiver threats of Witten and Holley. On the other side, it looks like it could be man on Ogletree with a deep safety over the top. They have no concerns about Martellus Bennett going out to run a route since they know that they have had to use him all day to help on Justin Smith and the 49ers front. But the depth of the other safety, Madieu Williams (#20) is such that you would think that maybe he is to take deep center. 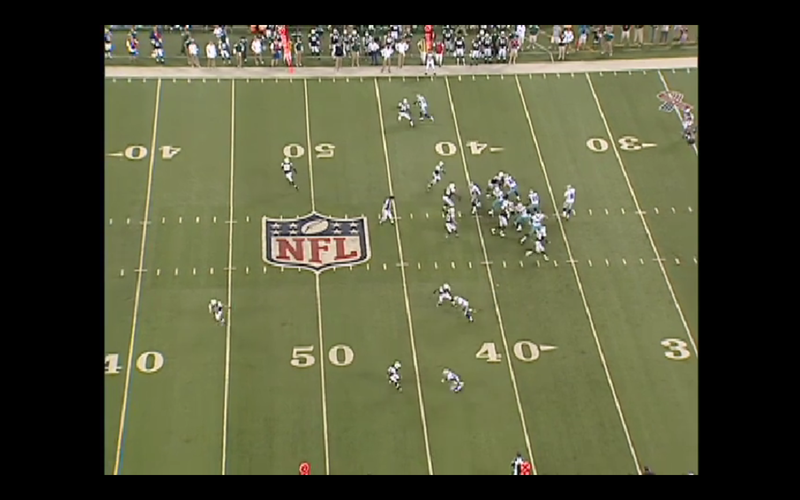 But, he is nowhere close to the midfield logo when Holley is running with the ball secured. 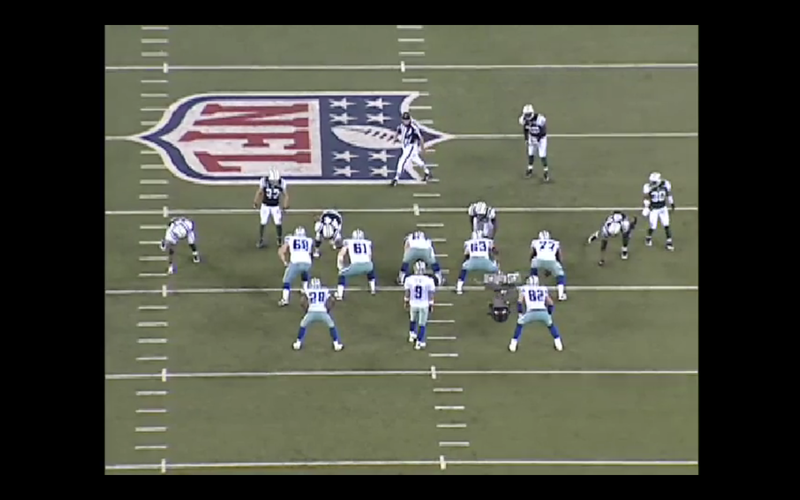 Dallas had run a few plays out of this formation and personnel on previous 1st Downs. One was a short route to Austin and one was a run wide to the right. This is textbook play calling that is often referred to as "running through a series". Each play has a series of options for an offense that can all be run from the same look. So, to further bait the trap, every time the Cowboys ran something out of this formation, it was short and causing the safety to play running north. It never occurs to any of them that a vertical right at the safety is about to happen. Check the depth of Whitner. He starts on nearly the 32. By the time Holley is in dead sprint, Whitner is turning at the 29. Holley is eventually caught from behind at the 1-yard line by Whitner and the Cowboys must kick a field goal for the win. But, to set the trap and to spring it was a thing of beauty. On 3rd and long, the 49ers are waiting for it, but on 1st and 10, they used a game's worth of data to lull the 49ers to sleep and then hit the home run. Here you see all of the Cowboys OL selling run. 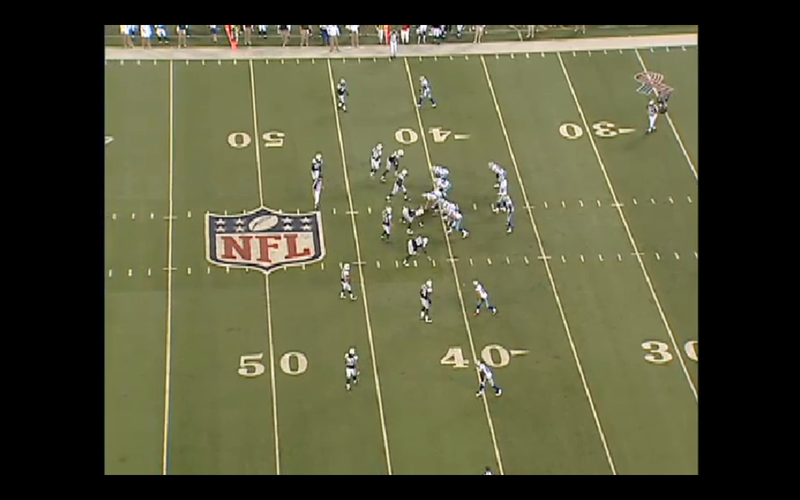 They are picking up their men and running them outside as if it is the same outside zone play the Cowboys ran earlier. Look at the eyes of all of the Niners. 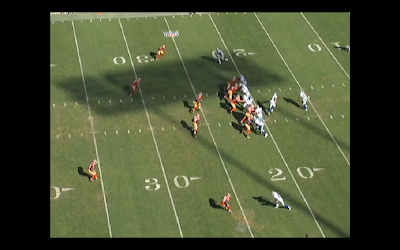 Everyone of them is centered on Tashard Choice and closing down this standard run play. The linebackers know it is a run. So, does Whitner, the safety. He is locked in and ready to make a play. The only indicator here that something might be up is that the LG for Dallas (75-Derrick Dockery) is helping Free with Justin Smith. They don't need Smith to defy the Xs and Os and ruin this opportunity. That is an odd move for a guard to make on an outside run to the other side, but that is a key that will be lost in the blink of an eye. The beauty of the entire play is that it hits so fast that they really don't need much pass protection. The ball is not in Romo's hands very long. And now, the moment of truth. The ball is in the air. Whitner's eyes are wide as saucers, and Holley is certainly seeing his entire life flash before him as the ball is in the air. If the catch is made, the game is won. And in this frame below, the fate is already sealed. You wonder if the Cowboys would have been able to put together a long drive any other way. With a hurt QB, a poor line, banged up running backs, and no receivers, the odds of a 10 play drive weren't real good. But, on this day, the Cowboys showed great resolve and beat a team that turned out to be much better than anyone expected. And this is a game where Jason Garrett made the perfect call at the perfect time. Then, an obscure player down the bench made a play when his number was called. 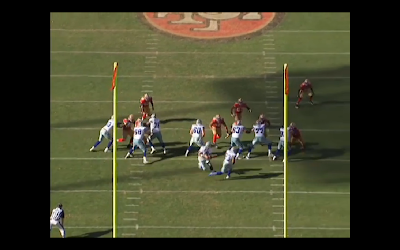 Of all of the big plays of 2011 that went in the Cowboys direction, this one might be the best of the bunch. Currently, Jesse Holley is looking for work and the Cowboys have moved on at the position. But, he certainly had his moment that will be remembered for quite a while in Dallas. Make a quick list in your head of the answer to the following question: Who are the best 10 players on the Cowboys roster? Now, as you fill out that list, consider age, position, ability, and potential if you like. But, the premise is this, imagine you are filling out a list of players you could protect from a season-long injury. Or a list of players you could put on a list that insured you would never lose them to free agency. How ever you place value on a player, we need to identify the Cowboys 10 strongest assets on their roster. As you can see, the Cowboys list of top players has an interesting problem. Especially if you consider that Brandon Carr has just joined the squad. The problem, is that between DeMarcus Ware (born in July of 1982) and Sean Lee (born in July of 1986), the Cowboys have a 4-year gap in this list where there are no players other than Miles Austin who the Cowboys acquired through less than traditional means. Players born between 1982 and 1986 would be between the ages of 25-29 right now, or basically, what many consider the prime in the NFL (it could be easily argued that the prime is 24-28). Without sounding too dramatic, that is the cloud that is hanging over Valley Ranch at times. People notice the Cowboys are trying to win a league without having their best players in that window. Instead, they have a large chunk that is now out of that window (still productive but not kids anymore) and a large chunk approaching that window (a core for a strong team in a few years). The point here is that in some ways, this represents the gap between the 2005 draft and the 2010 draft. A place where the Cowboys did not do very well and a place they are trying to recover from to this day. We had a nice conversation this week on the radio show about how the Cowboys were built. Specifically, as something we have done a few times on the show, who built the Cowboys the best? Who purchased the best groceries? We are all conditioned to understand that the NFL is a league where the teams with the best talent emerge at the top, and if people like Troy Aikman is going to keep saying the Cowboys have as much talent as any team in the league, well, we should see more results. So, the conversation started with the tried and true discussion of "do the Cowboys really have as much talent as people think" which evolved into my personal theory which I have talked about on several occasions that the Cowboys under Wade Phillips and Jerry Jones had a very "dark period" with talent acquisition. I think when we look at Jerry Jones as a General Manager, it is easy to divide his time periods into coaching regimes. I am not sure this totally holds water through Chan Gailey and Dave Campo, but with the last three regimes, I think we can see a real difference in draft philosophies and draft hauls from Bill Parcells, Phillips, and Jason Garrett. It could all be a fictional conclusion in my head, but I believe that Parcells was a dominating voice in the draft room and free agency periods from 2003-2006. In 2007, Wade Phillips was in the room and perhaps not nearly as dominating a voice. Regardless of who was making the picks and signings or arguing hard for their cases, either Jerry Jones or Wade Phillips (or both) was replacing the dominating voice of Parcells from 2007-2010. And now, we have a very small and incomplete sample to use for Jason Garrett. It is interesting to see the effects of the Parcells group, all of these years later. The spine of the team is still from that 2003-2006 window, and unfortunately, there are almost no players on the top shelf of player rankings in the Phillips group. In that group, you might have 5 of the best 10 players on the roster? 9 players with Romo, Witten, McBriar, Ratliff, Austin, and Ware certainly key members of your squad for years. Keep in mind that Terence Newman, Bradie James, and Kyle Kosier (FA) also were acquired during this time. Spears has been a starter and Hatcher is coming on. To have that much still in place in 2012 is why Aikman and so many say what they say. The roster looks like it should at the top. Now, if they could supplement it with another wave of quality talent for those from 2007-2010, you would have a team that ranks among the best in talent in the NFL. This group must be the absolute core of your squad. Look around the league and this is players who are in the prime of their careers. And yet, the best from this entire bunch of 20 players are probably Dez Bryant and Sean Lee. Then, solid starters Doug Free and Anthony Spencer. Then, marginal starters Felix Jones, Phil Costa, and Gerald Sensabaugh. We should mention Mike Jenkins and Orlando Scandrick as well. The rest? Beyond that, Almost all of the 2009 and 2010 talent haul is collection of spare parts who likely are running out of time to make an impression on the roster. They are in some cases on expiring deals and will become just names in the media guide from years gone by soon. And that is the issue, isn't it? If you look at who are the Cowboys most important players, really nobody has fully emerged into their own from that entire Wade Phillips regime. We haven't even mentioned that this is the era when the Roy Williams trade was performed. It was just a dead period in acquiring major pieces. His final draft with Jerry yielded Dez Bryant and Sean Lee. Both appear to be of the Austin/Ratliff quality (Strong Starters for many years) and on their way to a strong career, but Lee has only been a 1-year starter, so we need to see if this sustains. Dez seems on his way, too, but where are other players who are threats to be one of your top 10 players on the roster from this group? Doug Free is close and a promising piece for several more years. But, Anthony Spencer is a player that most people want to replace. Mike Jenkins is on his way out. Felix Jones might be, too, as his deal expires and nobody is sure they want to dump more money on him. Starting in 2011, we then draw another line for the Jason Garrett Years. On his ledger will go players like Tyron Smith, DeMarco Murray, Mo Claiborne, Brandon Carr, and others. We will see which category he best belongs in - Phillips or Parcells - in a few years. For now, we only look back at those 4 years with Wade Phillips and Jerry and remember some good on-the-field success at times. But, was anybody remembering to spend time going to buy more groceries? To put any of this on Wade Phillips might be laughable. We have very little proof on the record that Wade was a major influence in the room, other than pictures and anecdotal evidence. But, either Wade was filling the void or Jerry Jones and Stephen were. Either way, the period of time from 2006-2010 is why the Cowboys have a number of holes in 2012 and likely will continue to through 2013 until they have time to rebuild with a series of good years of talent infusion. And, now, to add more confusion, we have reports like this one that claim the Cowboys are actually quite good at drafting. One of the ideas from your Cowboys segment today was once again that we’re not sure that Jerry Jones can successfully run a draft. I think it’s fair to say the implication was that the Cowboys would be a better team if they had a better GM pulling the trigger in the draft. It was a common theme from you and Norm in the actual draft coverage as well. My problem is the way that the issue is analyzed. It seems the evidence that Jerry is a poor drafter is always Jason Williams in the third, Kwasi in the 4th, etc. But I never hear anyone compare those misses to the number of misses expected in a particular draft. Surely 7 hits is not the expectation each year. So the Cowboys have been doing better than some of the franchises that we would be quick to call good drafters, and they are right on par with the other teams in their division. It’s just one study, but it at least makes me wonder whether we should be so sure Jerry has presided over poor drafts lately. I’m sure every team has a long list of draft picks that they’re not happy with. It seems to me Jerry has had the Cowboys within striking distance the last few years and that’s a good place to be in this NFL. Maybe next year Miles doesn’t lose the ball in the lights. Thanks for the email, and for pushing several hot buttons! First, with all due respect to Lindy's or any other draft magazine or newspaper that operates nationally, here is how it works. Those draft grades (which I find laughable since they come out too quickly) are generally always positive in a magazine. Why? Because as a Cowboys fan, you are turning through a few magazines, find a grade that makes you happy, and buy that magazine. It is a simple marketing ploy to get you to spend $5 to read more. Also, the Forbes study was based largely on starts for your team. Well, this doesn't help anything. If an expansion team has their first draft, because they need starters everywhere, that entire draft class will start. Doesn't mean they are good players. It means the team desperately needed default starters. We focus on Jason Williams and Akwasi Owusu-Ansah because they are everything that the Jones-Phillips era seemed to do wrong. They projected too many things that cannot be projected. That Felix Jones could be a full-time back even though he had never been a full-time back. Conversion projects like Williams and Ansah instead of taking sure things because they were playing a hunch. Claiming they were spending a draft on special teams. Looking for a tight end need they didn't have so they traded the useful Anthony Fasano on the night before the draft to free up room to take Martellus Bennett in the 2nd round even though he had never been productive in college. And, of course, trading your 2009 draft for Roy Williams even though Williams was going to cost $45m and those draft picks would be younger, cheaper, and cover more holes. In short, the Jones-Phillips war-room was about throwing "hail mary" passes and not sound high percentage decisions. And I believe many concede that it was a poor time that Cowboys fans hope is over now with Jason Garrett saying more. Your quote of : "It’s just one study, but it at least makes me wonder whether we should be so sure Jerry has presided over poor drafts lately" is puzzling if you simply soak in the lost years concept on the top of your roster. Pick any strong team, and you will find that a large chunk of their difference makers are in their mid to late 20's. The Patriots, Steelers, Giants, and Eagles all have misses, too. Everyone does. But, if you can bat with a high enough average, nobody will worry about your misses. However, if your cupboard is bare for 4 straight years, the misses are way too many. Before we can spend too much time looking ahead to a summer of talent infusion through the draft, trades, and free agency, I think it is a real good idea to be clear on where the Stars are presently with their current roster. This is the same exercise the Stars' brass is going through constantly as they try to build a contending roster. What do we already have? What is the age and contract situation? What is the perfect role for each player? What do we need the most? What is the position of surplus that might bring us something we need? These constant questions of what you already have in-house will determine what you do in the summer. This is why in any sport, context is required to know where to look. "Best Player Available" is a fun cliche, but it is usually not realistic. You must know how a player will fit in you situation - otherwise you end up with a collection of talent; Not a team. So, with that in mind, let's tackle half of the "big league club" today as we consider each of the forwards and next time we will do defensemen and goalies. Then, we will have a pretty good grasp of what they need. Benn is the centerpiece of this entire operation right now. The Stars think he is an elite player, and after watching the giant steps he has taken in his first 3 seasons, the league all seems to agree. He is a dynamite offensive force who can bring the arena to its feet when he gains control of the puck like few others could ever do. He is a strong competitor and is no afraid to mix it up with anyone. The Stars did frustrate many by not making him a member of their #1 power play and then the constant issues of him playing with a lesser crew for a small amount of time on the #2 power play did not help things when the #1 PP clearly needed his ability to stretch defenses. But, the long-term dividends of making him check Joe Thornton and Ryan Getzlaf many nights could only speed up his development. He is going to make a lot of money in his next contract and the Stars will be happy to lock him up for a long time. He is home-grown, and has leadership qualities despite not saying much in public that would move the needle. The question of whether he is an ideal center is still up for debate, but again, with no centers to choose from, he might find his way right back to that spot next season. But, wherever they put him, he is dynamite. The big question is his sign-ability as his agent and the Stars need to find some middle ground to get a long-term deal put to rest. Mike is still a very productive center for the Stars. Led the team in assists and was 2nd on the team in scoring. Ribeiro is always going to be a player that has critics (Including those who employ him), but we must be careful not to marginalize his true value. He might be the only true center on the entire roster and is much better at doing things in his own end than he is often given credit for. He has strong scoring instincts and is a real ideal playmaker. His size, inability to win face-offs, and inconsistent motor places him in a tier below many of the top centers he faces, but he is still incredibly valuable to a team like the Stars that just don't have any center depth anywhere in the organization. Two things that are quite underrated are his ability to show toughness and his ability to compete. He isn't always burying his needle in the red on the RPM gauge, but when he is up for it, he will scratch eyes out to win. Despite that, it has been clear for a few years that the Stars would be willing to flip Ribs because of various feelings, but they have never been able to because of their lack of centers. If Richards would have been signed, perhaps it would be different, but for now, they desperately need Ribeiro to do much of the heavy lifting in 2012-13. Loui is one of two players up front who you can safely trust will be part of what is going forward. Loui and Jamie Benn are the two building blocks that every move is fitted to. Loui will turn 27 years old this summer and is right in the prime of a very impressive and at times, underrated career. The consistency in his output the last 3 years has been staggering as he has scored between 26-29 goals, 42-46 assists, and has totaled 71-73 points in each year. That is consistent. He also never gets hurt, it seems, and is a leader on both special teams. As a forward, no player hops over the boards as often as Eriksson. In fact, he took nearly 300 more shifts than any other forward on the team. That is staggering. He plays 200 feet of quality hockey, he never has personality issues that pop up, and he is signed to a deal that is extremely fair for the team and a fine slot in the cap. In short, Loui Eriksson is the least of this team's issues right now. He is a good reason why they feel good about their chances to move forward. When you place the Captain's C on a man's chest, you hope that he will then play as if he is willing to give his body up to win a game. Unfortunately, constantly giving your body up can often cause an athlete to age rather quickly, and that might be the case with Morrow. Brenden is coming off what could easily be considered his most disappointing season where because of constant health issues, was just never himself. He worked very hard to be there for his squad, but it was a great example of the mind being willing, but the flesh was weak. At 33, he now has a legion of people wondering if he can resume play as a guy who just a year ago, scored 33 goals and was front and center in so many battles. But, last season, he was a step slow, which caused a number of penalties that were ill-advised. He was eventually dropped to the 4th line and his time on the ice was rather minimal. He obviously faces a huge year to prove to not just the Stars, but the entire NHL, that he has elite hockey in front of him. For now, it must be difficult for the Stars to define where he is moving forward. But, it likely starts with assuming he is not an ideal candidate anymore for a "top 6" forward spot. Clearly, the biggest surprise of the season was to find 35 goals in free agency from a player who most teams thought would score about half of that. Ryder turned out to be a wonderful signing last summer, but not just because they were able to get him. Also, because they were able to get him on a 2-year deal. They now have quite an asset to use moving forward as either a key member of their squad or somebody who can bring a nice return in a trade. Ryder used plenty of time partnered with Ribeiro to really get into a rhythm of a goal scorer again - something that he did not enjoy in Boston. Ryder led the team in goals, was 4th in scoring, led the team in PP goals, and played 82 games. I wonder if a small extension would be worth discussing this summer, because if he can do that again, the price will sky-rocket in free agency. His play was very impressive this season and his goals led the Stars big streak in the spring, but like so many he was unable to break through in those final 5 games with 0-0-0, -5. But, you can write his spot in ink for 2012-13. Ott has a lot of value to this team in many categories. He is their emotional leader, it seems, almost playing the role of captain. He is a very important face-off man, finishing amongst the best in the NHL, winning 55.5% of his face-offs, and taking almost all of the important draws for this team late in a game. He, of course, drives his opponent's crazy as one of the great energy players in the sport. And yet, he did seem pretty close to getting traded to Vancouver at the deadline if you believe what you hear. The Stars wanted a young Top 6 piece and if Ott would have brought it, they would have likely done the deal. But, Vancouver opted to make the deal with Buffalo instead and Ott remained in Dallas. Moving forward, he remains their most valuable trade chip in the category of "players who can still get us a nice piece before they get too old". But, he is also too valuable to the squad because of all of the things he brings to the table. Offensively, he has real limitations, but as an overall piece to the puzzle, he would be an ideal #3 center or winger. But, with his ability to win draws, they have had him helping Benn - who is improving, but still has a ways to go in the face-off circle. Fiddler was another nice piece of business done by Joe Nieuwendyk in the summer of 2011 as he inked Fiddler to a 3-year pact. Fiddler also has an abrasive disposition and was part of a very formidable 3rd line this year with Nystrom and Dvorak. Unfortunately, they were often not allowed to "lock down" the opponent's best line because of Glen Gulutzan's desire to have Jamie Benn's line do that. They were a checking line that was often not asked to be a full checking line, but they made up for it with puck possession in the enemy zone on a constant basis. And this led to goal scoring opportunities to all. Nobody took more face-offs and Fiddler was a cornerstone of the penalty killing unit, too, a group that was greatly improved. Overall, he appears to be a strong 3rd line option and you could see how Nystrom-Fiddler-Ott could work nicely, provided the Stars can make the Top 6 work. Again, the details of his arrival are now rather legendary, because he made a wonderful impression on Stars fans in 2011-12 with his play and his career best 16 goals. He provides a game that is solid for the bottom 6 forwards and makes that rank veteran and dependable. He gives up his body and he brings plenty of fight to his game as well. The Stars surely feel pretty good about where he sits in their ranks at the present time, and I would think he might be a candidate to contact for an extension if the numbers are right. Dvorak played a reasonable game for much of the season, but as the year went along he tapered off a bit. I expect the Stars will look in a different direction in free agency and all Dvorak to go free at this age. Burish might be a different story. He played here 2 years and in both seasons did miss a big chunk of games due to injury. But, when he played showed himself to be quite useful in many departments. His grit and battle numbers were very high and he seems like a player that you might look to find room for, but understand that there might be a log jam on the roster if they truly believe that the team would be best served by Morrow and Ott moving down to lines 3-4, then players on lines 3-4 will also get displaced. With Nystrom and Fiddler under contract, then the musical chairs get complicated. I would imagine that Burish seeks another multi-year deal and he has made $1.15 per with the Stars. I would be tempted to retain him for a number of reasons, but the numbers on the roster have to make sense. Along the same lines, it is hard to see where they keep a roster spot open for Dowell as he serves as a guy who will drop the gloves for you, but beyond that had a tough time making a very large impression in Dallas. I would not anticipate him back with the club now as he hits free agency. There is not a ton of flash to Wandell's game and there may not be a giant amount of upside, either. But, he can fill a role pretty well down your lineup as a responsible center men on a 4th line or a fill in guy a bit higher. He has shown moments where you think he could do more that that at the NHL level, but he may just be a 2-way guy who gets you 15 points a year but doesn't get you beat by being on the scene of a mistake in the other end. He can handle anchoring the Stars 4th line and certainly benefits from the great dearth of centers in the organization. A fringe player who at times looks like he may be better served to continue development with a full year in the AHL and at other times looks like he could be useful in the NHL. It is just a difficult process to break through to being a force to be reckoned with and although the chances have been there, he has yet to break on through to the other side. The Stars are trying to challenge him to take that next step, because they could use his size and scoring hands, but it has been mostly a tease to this point. He is certainly a wait-and-see guy at age 21. But, you don't want to be impatient with a player that young who has his tools. Glennie appears to be the forward from down below who is most able to jump the NHL next season. He appears earmarked to fill one of those bottom 6 spots, but after playing 70 games in Austin, training camp will decide much of that. It would be wise to assume Reilly Smith can be a top 6 solution for this organization, but it would also be wise to suggest the Stars should perhaps start him in the AHL before they get too carried away with over-exposing him at this level too soon. He has tons of talent, but you have to grow it at its proper pace. I assume that after five years in Dallas, we have seen the end of the Toby Peterson run. He has always done a solid job for what he was asked to do, but at 33, the Stars can find younger options. Garbutt's 20 games in Dallas were a fun story in 2012, but now he will have to prove that he belongs all over again for next season. Again, with a lack of Top 6 forwards and a multitude of bottom 6 candidates, it is anyone's guess what the team's plans are for Garbutt. So, there are thoughts of all of the players that seem to be in the immediate mix for the Stars at forward as of this moment. Next time, we will do the same for all of the players in the back. 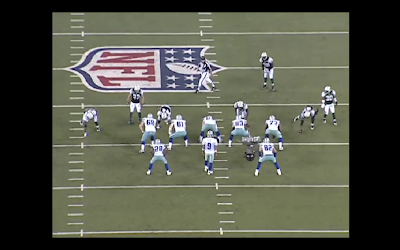 The Following is the 1st in an 11-part weekly series throughout the summer that will focus on the eleven plays that shaped 2011 for the Dallas Cowboys. Every game, about 130 actual plays happen and over the course of a season that number can exceed 2,000. But, we have selected 11 and will pick one each week and break it down from standpoint of "X's and O's" and see what we can learn looking back. We hope you enjoy. At times, it can be described as the "fog of war". The idea is that things are happening so quickly on the field in a frantic NFL contest, that at the moment of truth, a perfectly prepared QB with miles of experience just forgets everything his training has prepared him for and has done something utterly unforgivable. And that moment reared its head only about 2-3 times all year in 2011 for Tony Romo. But, wow, those were a few high profile moments where he forgot to take a deep breath and think it over. Today, we examine just one play in a game that had moments everywhere. Setup: Week 1 against the New York Jets was going to be a very difficult game for the Cowboys to lose. But, with a 24-10 lead in the 4th Quarter, the Cowboys were in a perfect position to win a game that they fought hard for. What followed was a 4th Quarter that was about as excruciating as it would get all season long. Dallas surrendered a TD to the Jets on the very next drive on a long snag by Plaxico Burress. 24-17, 11:56 to play. Then, the Cowboys hit Jason Witten for a huge gainer down the center of the field and Dallas looked poised to re-open a 14-point lead. But, on 3rd and Goal from the 2, Romo allowed points to be taken off the board by trying to get too aggressive on a scramble that turned into a fumble recovered by the Jets. Instead of a 10-point lead, it stays at 7. The game is starting to slip. The defense stands tall with Danny McCray sacks and recovers a Mark Sanchez fumble, giving the Cowboys the ball on the Jets half of the field with under seven minutes to play. But, the Cowboys not only suffer a 3 and out, but one that includes 2 pre snap penalties. These penalties walk the Cowboys back to a 4th and 22 which is made all the worse with a blocked punt that is returned for a touchdown and the game that seemed to be close to in the bag is now tied with 5:00 to play. Dallas then stalls on its next drive because they cannot convert a 3rd and 1 run as the left side of the line collapses (a theme of the night). So, the Jets take over with 2:16 left at their own 20 with a chance to go for the win. But, again, the Cowboys defense stands tall. Anthony Spencer with a 3rd Down sack forces a punt and now Dallas takes the ball at their own 41 with 0:59 to play. All they need is about 30 yards and they have plenty of time to get there, but only one timeout remains. The next image shows you the entire field at the snap. It shows those 2 safeties bailing out to help on either side of the field. Brodney Pool is wasting no time to provide cover help over the top for Dez Bryant. This allows Darrelle Revis to start the play about 5 yards off Bryant, but then get on his inside hip and roll stride for stride against Bryant, who hasn't looked right health-wise since about the 1st Quarter. This is a rather clear read for a QB. Safety turns and runs, corner on the hip of the wide receiver. Unless you think a quick fade or comeback route can be had, this side of the field is a no-go. Once the safety has a few seconds to get over Bryant, there is absolutely nothing to throw at. The image below shows the pass as it leaves Romo's hands. This is the spot where the decision is made and the throw is going to this side. 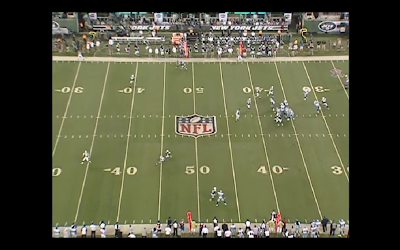 And at the precise moment Romo let's the ball go, Revis senses that it is time to turn and find the ball. To his surprise, one might assume, the ball is coming right at him. 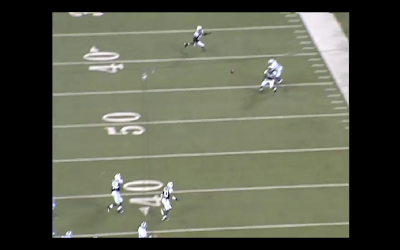 Bryant is in no position to defend the pass, and Revis picks it off with great ease and returns the ball 20 yards. Here is the end zone view of what was available at the moment the ball is arriving. Absolutely nothing. Interceptions are not easier in practice for an elite corner. A few days after the game, Jason Garrett told the press what he saw on that play: Tony had a pretty good feel for what it was," Garrett said. "Revis had turned his back to Tony, and Tony had to move. He felt a little bit flushed from the left-hand side. I think he left like he could drive the ball up into the hole of the defense. They were playing what we call a two-man. There’s a half safety deep [Brodney Pool], and Revis was in trail technique. I think he thought he was going to be able to shoot it in there before Revis turned, and Tony being on the move and kind of throwing it on the run a little bit, I don’t think he threw the ball exactly where he wanted to and as soon as he threw it, Revis turned around and made the play. I don’t think the location was great. I think in hindsight, the decision was a little aggressive certainly for that situation. I don’t think it was miscommunication, though. It was more about location and decision-making." Garrett's last statement summarizes what we are looking at here. "The decision was a little aggressive certainly for that situation." One would say that that is an amazing understatement. Again, it is late in the game and there is some urgency. But, this is where gun-slinging and growing up watching Brett Favre goes wrong. This is an inexcusable decision for a QB based on 4 very clear reasons. 1) Dez Bryant is clearly not healthy. 2) Darrelle Revis might be the best corner in football, so therefore, even if Bryant is healthy, you might want to consider other alternatives. 3) a safety was sitting over Dez the entire time, so there is really nothing there. And 4) most importantly, it is 1st Down. And that is what this entire decision comes down to. You can take risky throws in the NFL. That is part of doing business. A QB thinks he sees something and will try to fit a ball into a tight place. But, the one thing a coach cannot live with and tolerate is needless risk taking. And forcing a ball to an injured player on 1st Down with the game on the line is just about one of the worst decisions Tony Romo has ever made. On 1st Down, if you don't have about a 75%-80% at the completion, you fire it out of bounds and live to use 2nd and 3rd Down. "A little aggressive" was likely not the wording used behind closed doors. So, now, let's go back and see what caused Romo to move out of his pocket so early and take his other 2 receivers that were out to the left out of the play at the snap. Miles Austin and Kevin Ogletree were on the left. Austin who was in the slot was running a vertical route and Ogletree was on the outside and basically ran a route without much conviction about 8 yards before stopping and knowing he wasn't getting the ball. The Jets are showing a rush that has the Cowboys calling for a slide left technique in their blocking. That means, of course, that the 5 OL players are going to all take the guy to their left. You will notice that Tyron Smith (77) will grab the player over Kyle Kosier (63), leaving Kosier without anyone to block. But, Costa, Nagy, and Free all must get their men 1-on-1. Romo sees this and almost at the snap is headed to his right. This slide leaves Witten and Felix Jones to grab anything to Smith's right, and Witten gets on that job right at the snap as you see below. You can also see that Felix's guy to block is not actually rushing, he is waiting at a comfortable depth for either Felix to run a route (which he does not since he is in full pass protect) or to wait in shallow grounds for Romo to declare his intentions. This keeps Romo from having any room to scramble. On some of these plays we break down, there will be a feeling that someone just "made a play" and defied the Xs and Os. In fact, later in this series, we need to break down one of the best plays of Romo's career where he did just that against Miami. But, in this breakdown, there is no question that this is a QB making the mistake of a rookie QB. It was not only impossible to defend for anyone who would wish to take that position, but it is also the one play in this game that determined the winner more than any other, in my estimation. This is all on the QB. He did not make many poor plays in 2011, but this is one of his worst. And it is the one the national football experts seem to roll when they discuss his year. 31 TDs and 10 INTs should be a celebrated year. But, a few of those picks cost the Cowboys a chance at the playoffs early. Over the next month, or so, I must restrict a bit of my blogging on the Dallas Cowboys to make room for the other team that is closely covered in this space, the Dallas Stars. Now, that isn't going to mean that the Cowboys will get no love at all, just that about twice a week, we need to ponder the off-season events of the Stars, too, as we approach the NHL Draft weekend which is about one month away (June 22-23 in Pittsburgh). Dallas has the 13th pick and the need to make it count with another major piece of the future is obvious and apparent. From there, they will hit free agency on July 1, and hopefully, shortly there after, they will be putting the finishing touches on their next roster. This, of course, is all "Collective Bargaining Agreement Pending", but if we all know that and are comfortable pondering the idea of hockey with still more new CBA rules, let's get down to business. The Stars have a lot of work to do to try to achieve their goals. Were they close in 2011-12? I suppose, but, we cannot afford to start thinking in the ways of over-the-top optimists. This franchise has missed the playoffs every year since 2008, and actually saw its team point total dip this year to 89 points. You can squint and tell me that Los Angeles could have been Dallas with a bounce here and a timekeeper there, but the truth is clear, the Stars were just not sustainably good enough this season. So, now, the offseason is here. TIme for Jamie Benn and Kari Lehtonen to put their feet up - once they are done representing their countries in the World Championships - and now the brass must activate their busy season so that this team can advance down that very important road of building a strong NHL contender in the short term and much more importantly, the long term. It is very interesting to see the long-term and short-term plans work together. Only then, can you fully see the task that is ahead of this organization. Each year, many new deals come free so the constant treadmill feeling of running in place can be in full effect. This summer, Sheldon Souray and Adam Burish are the two unrestricted free agents which will give the Stars some level of pause. It doesn't take a detective to know the Stars would love Souray on a 1-year deal and that Souray will shop for multiple years on the market. If he finds those deals, the Stars will likely punt, but if it is to bid on a single season, they will want to be front and center. Jake Dowell, Toby Peterson, and Radek Dvorak are also free, but I am assuming the Stars would not sign them to deals unless they make a decision late in the summer to fill a hole. So, there is your good news. Very little to resemble the summer of 2011 or 2013 from a free agency standpoint in keeping your own. However, 2013 is close enough that it is likely time to get some business looked at there. Kari Lehtonen bargain contract of $3.5 million annually will likely increase dramatically. He is the right age and the right size to consider putting a long-term deal on, but there is no question that his agent will be looking at some of those monster extensions signed by other elite goalies (some from Finland, too) and have a huge number in their head. Other contracts in 2013 that expire include your captain Brenden Morrow ($4.1m), one of your top centers Mike Ribeiro ($5.0m), and your newly found sniper Michael Ryder ($3.5m). This trio is particularly tricky, because you are looking to add to your squad - specifically your Top 6 forwards (where you get the majority of your scoring) - not subtract. And yet, if Morrow or Ribeiro were moved this summer as part of a rebuilding effort, I am not sure too many people around the organization would be shocked. Then, there are two more internal balls to juggle. Steve Ott was the subject of trade talks at the deadline, and it seems the Stars would have done a deal that would have brought them a major piece of their future. As much as he is loved by fans and teammates, this may still be an objective, given his reasonable contract number through 2014 ($2.95m). Stay tuned there. And then, maybe the biggest contract of them all still needs to be signed by your star player, Jamie Benn. It must be odd to deal in contract talks with a guy and attempt to get him on a reasonable deal while at the same time telling the world that you think he can carry this franchise for the next decade. That promotes that team, but I am guessing it doesn't totally help their bargaining position with his agent. The range for his deal is likely somewhere between Loui Eriksson's extension ($4.25m annually) and Patrick Kane's deal ($6.3m) since Kane is from the same draft in 2007. The Stars would love to buy out some years of his free agency and that will cost them, but I think they have seen enough to realize he might be the stud they believed he was 2 years ago. Now, that your head is possibly spinning at that current players situations, then you must consider which players in Austin are ready to contribute in Dallas (Brenden Dillon? Scott Glennie?). And which players in juniors and college hockey are ready to contribute in Austin (Austin Smith, Reilly Smith, Jamie Oleksiak). Or are one of the Smith boys actually ready to get all the way to the bigs by next fall? If they are, it would have to be in a "Top 6" capacity or you are much better off letting them play big minutes in the AHL as a Top 6 there. Stars president Jim Lites offered this: "We are without budget. As crazy as that sounds. We are restricted by only the CBA and fitting long and short term into that system...This is a different situation than we have been in for the last 4 seasons – which is we have an owner who is willing to spend and not being run by the league....We are prepared to spend what we need to spend, but we need to spend wisely." Then, I asked Tom Gaglardi if he anticipated the Stars being front and center on July 1 with all of this cap space. His response? "Uh, Yes. We have identified some guys we are going to pursue hard. And so we expect to be in the mix." The boldness and confidence with which these two men speak is quite wonderful to see. I think we can examine the shallow pools in free agency and see this is not the greatest summer to have loads of money. But, there are more than just one way to do this. You also have a number of teams who are now squeezed badly by the cap and are looking for some relief by dealing away a piece. Lites: "You know what is out there now? The Brad Richards type. The reason we got Brad Richards is that he became available for prospects because Tampa Bay fell apart after they paid him. Other teams have lost flexibility and they may want to move that guy. Contracted players who either have no trade clauses but will waive it to come here and you may be able to work things through with that guy who may have a burdensome contract for their team. For instance, you see Jeff Carter in Los Angeles who Columbus didn’t want to keep." All parties agree that the Stars need 3 major parts. 2 Top 6 forwards and 1 defensemen, preferably that elusive #1 D-man. Those are expensive pieces and will cost some of these kids if the Stars choose to go that route. They would rather have kids fill these roles, but that takes patience and some luck. Regardless, Gainey, Lites, Gaglardi, and Nieuwendyk now sit in a room and chart out an aggressive plan. And as a follower of this franchise for 14 seasons, including the last 4 that ended in early April, this excites me greatly. Next time, let's start to look at the roster, draft, and free agency. It is a big summer for the organization coming up. Another week has ended in Cowboys' land, and all has been relatively quiet. Save for the very disappointing news about the hip of Mackenzy Bernadeau. You never want to hear about an injury taking out a guy for 3 months you have just signed to be a starter, but I suppose this injury hitting in May is way better than September. Nevertheless, continuity and reps are what makes an offensive line strong, and it doesn't appear that their projected Week 1 offensive line is going to get much time together before mid-training camp. Further, any talk about a position conversion for Bernadeau as a center option would likely reduce substantially with that development. You seem pretty high on the Cowboys draft. I’d be interested in your thoughts on how many of the seven draft picks will win roster spots and how many will start at some point next year and how many will star eventually. I know it’s early but this does seem like a promising draft. I have received messages like this quite a bit since I did breakdowns of each player that the Cowboys selected, and I am a bit careful to be clear on somethings. The draft is about 2 things, to me. 1) How does the player compare with other players in the draft? and 2) how does the player compare with other player on the team? When I am watching these draft picks on tape, I will be honest, I am not considering what they could have done at that spot in the draft. Maybe I should, but to do that, I would need a comprehensive breakdown of everyone on the Cowboys' board when they were sitting in the 3rd Round. Given that I didn't do that, I take the other approach. How can this guy impact the Dallas Cowboys? And when they take Tyrone Crawford, for instance, do I think that he has a good chance to ultimately be one of the best Dallas players at that position? If I had done it the other way, I think one could reasonably argue that Philip Blake from Baylor or Alameda Ta'Amu from Washington would have been a more immediate need for the Cowboys than Crawford. But, they selected Crawford and instead of comparing him to those players they didn't take, I start to compare him to Marcus Spears, Kenyon Coleman, Jason Hatcher, and Sean Lissemore. And from that standpoint, I love the Cowboys draft. I think that Danny Coale can push all of the other current candidates for the 3rd WR. I think Matt Johnson could start at safety in 2012 at some point. I think Caleb McSurdy and Kyle Wilber could instantly be 2 of the best 3 special teams cover guys this season. So, understand, it is 2 different conversations that are easily confused. Did the Cowboys have a great 2012 draft relative to the rest of the league? I don't know. That would require me to know those other 31 rosters as well as I know Dallas'. But, do I feel the Cowboys did a nice job getting players that can instantly improve the quality of their roster 1-53? Yes. I really do. Save this column, so if the 2012 draft goes as badly as 2009, you can remind me that I loved it when it happened. Because I think all of these players will make the team. Perhaps that actually discloses what I think of the Dallas roster to begin with. I think there was a real vacancy in quality down the line, and now there is not as much. Do the Cowboys really see Scandrick more of a valuable commodity in the secondary to keep him as opposed to Jenkins? Or are just now in the initial stages of regretting that extension? Explain the reason to move Jenkins and how/if it does go down. Whats the ceiling we could fetch for him? 3rd Round pick? Thanks. You are my leader. It is all in the contract details. Orlando Scandrick signed a 6-year deal for $28.8 million dollars to carry him from 2011-2016. The annual cost of such a deal that guaranteed $10m is $4.8m per season. 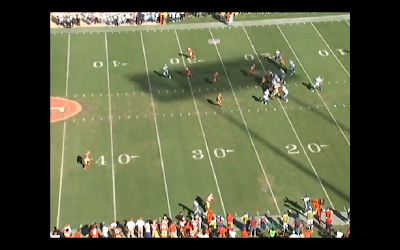 The Cowboys actually did a pretty nice job here of locking in a young corner before he got to free agency. I would try to look at Scandrick and Jenkins as separate entities and guys that play different positions. Scandrick plays the slot, of course, most the time when he is on the field, and in this age where the slot corner plays so many plays, you can't really call him a 3rd corner anymore. He is not a backup. He is a guy who played the 8th most snaps of any Cowboys defender in 2011 and the 10th most in 2010. So to get him under contract was a shrewd move knowing that Jenkins was free after 2012 and Newman was losing his fastball despite being paid as an elite corner. So, if the Cowboys waited too long, Scandrick's pricey deal would have not been an option. His ability to get paid would be determined in the open market, where the Cowboys just paid Brandon Carr, another corner from the 5th round of the 2008 draft, 5 years, $50 million. Nobody is saying that Scandrick is elite and would have had that. But, the Cowboys wisely saw that corner in free agency who have the amount of playing experience of Jenkins and Scandrick get paid a ton of money. They had to pick one based on performance and price. Scandrick and Jenkins both made that choice easy. Scandrick never had the tools of Jenkins, but he always had twice the fight. Now, the obvious follow-up is why don't the Cowboys do something with Jenkins rather than lose him for nothing in the offseason when he leaves via free agency? 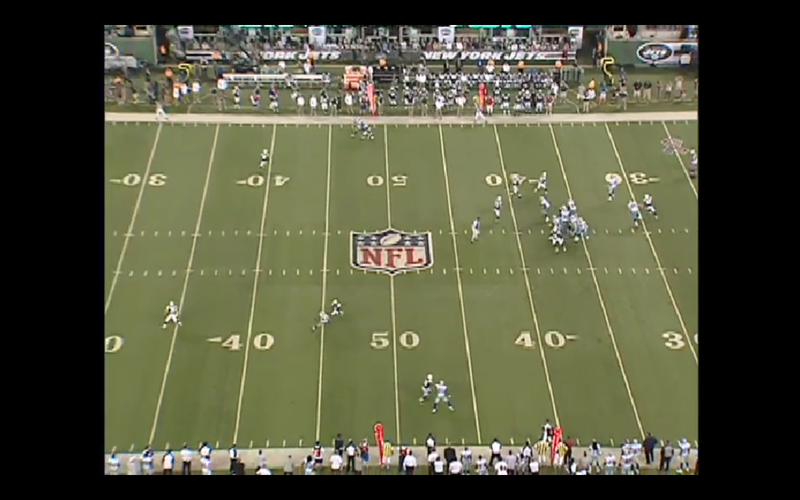 For that, allow me to turn your attention to Week 1 of last season, when the Cowboys played at the New York Jets. Due to some banged up corners, Newman was unavailable and Jenkins was hurt during the game. Scandrick then got hurt, too. So, with a game on the line, the Cowboys had Bryan McCann and Alan Ball playing most of the downs at corner. So, if you are asking, shouldn't the Cowboys have tried to get a 4th Rounder with Jenkins at the draft, my answer would be, no. I need 4 good corners at all times. Carr, Claiborne, Scandrick, and Jenkins will give me that chance. But there have been years where the Cowboys have left camp with just 3 corners on their roster. It isn't pretty. How do you see the running back rotation being handled next season? There were only a few games where both Murray and Jones were healthy at the same time, but based on their performances last year, is it clear that Garrett should make Murray the bellcow and just mix in Jones in certain situations? I fully expect the Cowboys will be coy about who is their "starting RB" through camp and those of us in the media will spend way too much time discussing it. It is clear to me that DeMarco Murray is the player that is best suited for this position full-time. Assuming he looks anything like he did before his injury in December, that decision is made. Now, how do they utilize Felix Jones properly? His bang-to-hype ratio has never quite been where it needs to be, and his 5-year rookie deal is going to expire at the end of the season. Since both of these guys have been known to get hurt, assuming that they will not in 2012 is at our own risk. Murray is my #1, but Jones should continue to get plenty of work, perhaps primarily in the 3rd Down situations which I will remind you are a ton when you consider that all "hurry up" offense is also under that personnel grouping. Like Jenkins and Bennett, I think another key piece of the 2008 draft is likely to leave when free agency hits Felix Jones, but unlike Jenkins, the sign ability of RBs is not like it is for corners. That means that an extension for Jones might be much more reasonably priced when the time comes if the Cowboys wish to go that route. But, I don't see any reason to do that until Felix proves he can play through the beating that he takes in the NFL. Assuming the new guys on the o-line completely fail what are the repercussions? Are their contracts structured so we cut bait? Yes. Nate Living signed a 5 year, $19m deal that has just $6.2m guaranteed. Basically, he has a job in 2012 and 2013. Then, he will have to prove he is worthy. Mackenzy Bernadeau's deal is 4 year, $11m, with at least half that is easy to walk away from in 2014 if he is not what they thought. And, to be clear, the rest of the NFL is not too worried about the Cowboys finding these two guards. If they are good, and they might be, it doesn't seem the Cowboys had to out duel anyone to get them. Now, in fairness, the exact same thing was said when they snagged Kyle Kosier in free agency, and he worked out well. Meanwhile, they raised eyebrows when they went in for Marco Rivera and he was a disaster here. So, you just never fully know. Will this be the Dez breakout year? I think so, and I also think that his uptick late in 2011 was the start of it. Production wise, if we simply rate him against others in the NFL, Dez has done quite well in his first 2 seasons. Unfortunately, he isn't judged against them. He is judged against his hype, his headaches, and his predecessors, Michael Irvin and Drew Pearson. Certainly, Dez is a talent, but he may never be the beast that he was advertised as. He may just be a very productive NFL receiver. There is a difference and that is why 1500 yards and 17 TDs in 2 seasons is seen as a disappointment to so many. OK. We will do more next week. Enjoy your weekend! The following is the 7th in a series of draft profiles for the Dallas Cowboys selected players from April's draft. These profiles are put together after watching significant amounts of tape from each player, and is an attempt to examine their resumes and play to get an idea of how they might fit in best with Dallas come training camp. Seldom do undrafted free agents in the NFL get talked about. If they do, it is because they were a famous college football player that has the fans excited because the player that they watched on Saturdays is now going to try to silence his doubters on Sundays. But, almost never would you get a buzz about a player that is undrafted and mostly unknown. I guess this year in Dallas, we have found the exception to the rule because of the way the Cowboys made sure they got their man, Ronald Leary of Memphis. I have received numerous requests to break down his performance in college, like we did with all of the draftees, and I can tell you this is most uncommon to have this amount of curiosity about a player not even worthy of being Mr Irrelevant. The NFL college free agent system is quite interesting in how it all works together. On the 3rd day of the draft, teams are in constant communication with players who are on their board late, but are still undrafted. If the Cowboys have a dozen candidates for their final pick in the 7th round, they take the one that is most likely not to make it to the end of the draft, and roll the dice on the others. Then, they cheer that those players are not selected while calling their agents to let them know that if the draft doesn't work out for them, the team would like to sign them immediately as a free agent for training camp. The money is not great. In fact, it is quite minimal. Each team has $76,585 to spend on their free agents. Total. And, if you consider that the Cowboys inked 19 players, you can see that equals out to about $4,000 per player. And that is the extent of the money they receive until training camp where they will at least receive minimal wages at training camp. Otherwise, any windfall of cash is dependent on them making the team or the practice squad. But, "Big Ron" did not get $4,000. He got more. In fact, he received considerably more than the next highest free agent that the Cowboys signed, WR Saalim Hakim from Tarelton State, who received $10,000. Leary received the stunning total of $214,000, as the Cowboys decided to basically guarantee Leary a roster spot on the final 53, it would seem. Because Leary would have been a mid-round prospect had he been healthy, and because the Cowboys feel he's a player who can make an immediate impact, $205,000 of Leary's $390,000 base salary for the 2012 season is fully guaranteed (skill, injury and cap). The total guarantee of $214,000 is in line with what Leary would have received as a signing bonus if he were the first or second player selected in the fifth round of the 2012 NFL Draft. Leary is not injured. Rather, he has a degenerative knee condition that could drastically shorten his career. But, for now, and for a chance to find a player with good ability, the Cowboys are throwing a little caution to the wind and hoping for the best. There is a reasonable gamble here that could go badly. And although $200,000 would drastically impact any of our bank accounts, $200k in the NFL is not a very big risk. And if you are going to take a risk, do it on the OL. Leary is a very large man. So large that his listed weight of 315 seems a bit suspicious. He appears to the eye to be even bigger and not exactly the chiseled body type that Tyron Smith may offer. However, in terms of being a player who immediately could become your best interior line prospect, his game film indicates that he has a chance there. Below, you will have to opportunity to watch Leary play Left Tackle for Memphis. A couple things about that. First, Memphis is one of the very worst programs in all of college football. He is playing for a program that has won fewer games than any program other than New Mexico over the last 3 seasons. He is also playing LT for the majority of his time in college, whereas at the NFL level, nobody pretends that he is an outside player. At Valley Ranch, it is unanimously thought that he will be playing guard. As a collegiate, he did a pretty nice job in pass protection. In fact, as we look at the profile for Cowboys prospects, he has that signature long wingspan and arms that they search for with a 83 inch wingspan and almost 35 inch arms. He has the ability to get his hands on you and then you cannot get around him. He has a good push once he finds his man and that will be made easier at guard. In the running game, there is question about what the Cowboys full approach is going to be. I only say this because in 2011, they left camp feeling good about being undersized and in the early part of the year they ran a large amount of zone running plays. As the season went along, you could see that they retreated back to what we have seen for year, more man-blocking and the desire to find bigger players who can hold the point better, but the damage was done in 2011. Leary looks like a promising prospect for the straight ahead or slanting game of the zone runs, but, whether he can pull around in the G-Power schemes that the Cowboys have run for years is something I was unable to find on tape. Memphis certainly wasn't running the ball much, and when they did, I never saw them ask their LT to get out and move. If he is to play guard for the Cowboys, there is a real chance that his ability to pull around the center and find his man who is trying hard to sneak past him will only be seen once we get to camp. Of course, this is predicated on the idea that the Cowboys will still employ their same running philosophy, which may be a mistaken premise with Bill Callahan replacing Hudson Houck in managing the unit. I would assume that Jason Garrett's playbook will remain the same, but that is just an assumption. Leary's big issues will be his ability to stay on his feet. He gets overextended and ends up on his belly quite a bit. Offensive linemen who are on the ground in the running game are often a running back's worst enemy. That means players are running free and his own blockers are plugging up holes with their considerable frames. You must keep your feet until the runner is past, and this was the ultimate undoing of Leonard Davis in 2010. Also, there is little evidence - good or bad - about his recognition ability when it comes to the complicated job of knowing who to take against confusing blitz looks. 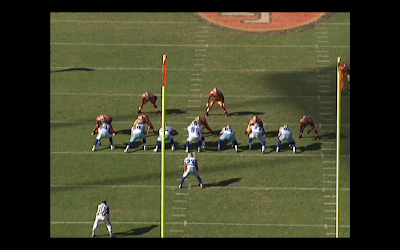 This was one of the worst parts of the Cowboys interior in 2011, when teams would show multiple blitzes or even when defense would run inside stunt games and the interior would show confusion. This is an even bigger weakness as Kyle Kosier, the man who called all of the line calls, is not back and one of the two free agent signings Mackenzy Bernadeau is already lost for 2-3 months with a hip injury. The team needs continuity and that might be tough this summer. But, he has the tools and the frame. He was pretty strong in college at keeping his QB clean, and it appears that the Cowboys have something here to work with. His development, which could be quick, will determine whether they found a diamond in the rough or whether he is simply another OL prospect that is in and out of here in a short time. Special bonus on Leary, as someone has posted coaches' film of Memphis. 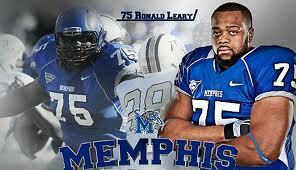 Leary is #75 and plays LT. You can watch him here in complete games for 3 different opponents. H/T to DC Fanatic for finding these. Summary: Cowboys fans should be optimistic about the future of Leary. He doesn't appear to have major flaws in his game, but rather slid because of scaring off the medical people at the Combine. He played every week for Memphis and seems able to play at a solid level right now. Might his career be shortened? Sure, but given the average length of a career is so short, we shouldn't be too concerned about his ability to last past the age of 30, anyway. As I see it, he immediately becomes the best young interior OL prospect on the roster, which certainly says something about what they were working with. He will not get bullied like so many others in this mix. His issues will be to not let players dart around him, but with those arms, he should have an inherent advantage there, too. It does seem too optimistic to think he grabs a starting spot out of camp, but let's not be surprised to see him on the field in 2012 in some guard capacity. This is a player they may need to count on quickly, especially if injuries hit the team.